EVF USA annual national meeting is going to be held on 16th to 19th Sept. 2010 in Holiday Inn Express, Plano East, 700 Central Parkway, East, Plano. Texas 75074. Sri Rajendra Khaitan, Sri Satyendra Prakash, Sri Pradeep Goyal and Smt. Sangita Gupta will represent to EVFI in the convention. On June 5, 2010 Ekal had taken a pledge to plant million trees within a year to save mother earth from the effects of global warming. 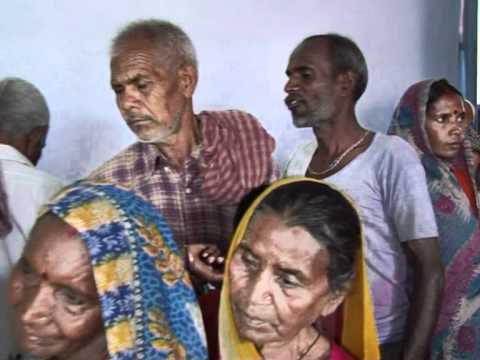 Sri Lalan Kumar Sharma, the Kendriya Margdarshak of Swabhiman Jagran Abhiyan (Head, Empowerment Programme of Ekal), has confirmed that by August 15, 2010 more than six lac plantations have been made throughout the country. Despite heavy rains in some areas and draught like conditions in some, the results has been very encouraging. 'Van yatras', ‘van mahotsavas’ and other motivating events were planned to make the drive successful. Volunteers from different chapters, members of local committees, students and teachers actively participated in the programme. At many centers the media highlighted their efforts by giving impressive coverage. 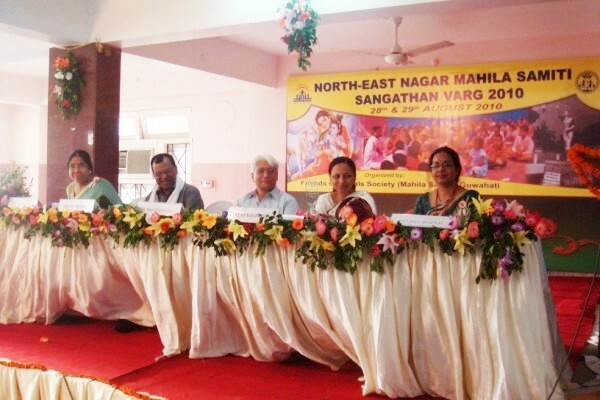 The Zonal Mahila Nagar Sangathan Varg was successfully held in Guwahati on 28th and 29th Aug, 2010. Women volunteers from North-East zone comprising of seven states i.e, Assam, Meghalaya, Tripura, Manipur, Mizoram, Nagaland and Arunachal Pradesh took active part in the Varg. The varg started with the inaugural ceremony by chanting Omkar, Gayathri Manthra and Saraswati Vandana. Ms. Renuka Barkataki, a social worker and former Member of Parliament, inaugurated the Varg by lightening the lamp. Around 120 number of people attended the varg. 70% out of total presence were from Anchal and Sankul level. The varg was very exciting. Some very good cultural programmes were performed. It was decided that Swavlamban Sangrah should be done on the lower levels by Seva patra. All emphasized to upgrade the quality of Acharya. Health camps would be organized on the Sanch level with the help of ladies Acharyas. It was decided that every Acharya will be honored by presenting gift on the occasion of Makar Sankranti. All participated actively in the varg. Dr. Tapati Kashyap Barua was the main speaker of the varg. The varg was successfully concluded under the guidance of Prof. Manjushree. 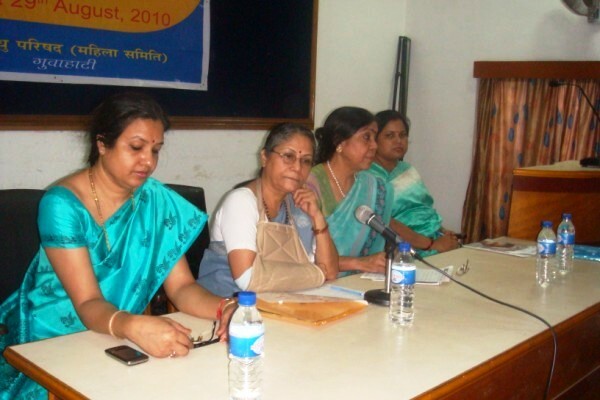 The 9th chapter of Bharat Lok Shiksha Parishad was inaugurated at Uttar Pradesh Sangeet Natak Acadamy, Gomti Nagar, Lucknow on 5th Sept. 2010 in a grand function by Dr. K.C. Pandey, President, All India Science Congress Association. About 900 people were present in the inaugural ceremony. 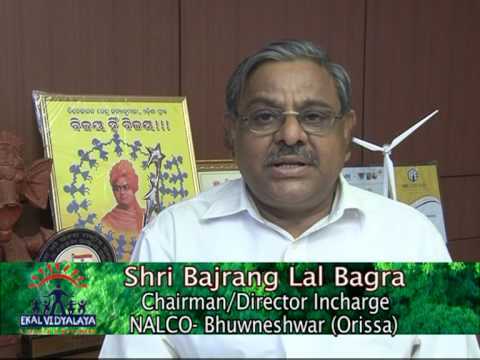 Sri Naresh Jain, National President, BLSP, Sri I.M. Agarwal, Sri Vinod Agarwal, Sri Bharat Bhushan Arya were also present there. Prof. Manjushree conducted the programme. Sri Ramesh Saraogi, National Secretary, FTS was the main speaker. 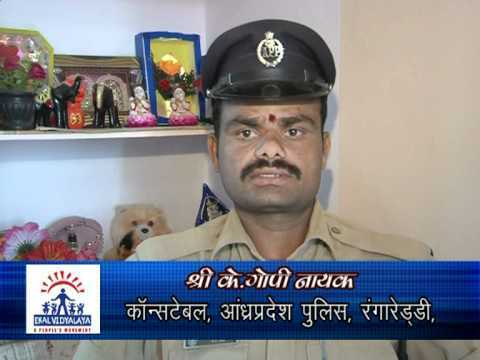 Sri S.K. Garg, Chairman, ELDECO became the first President of BLSP, Lucknow. A cultural programme was organized by FTS Bangalore at Chowdaiah Memorial Hall, Bangalore on 26/08/2010. The program was a musical ballet performed by well known troupe of Sri Tushar Sonigra and Nilesh Thakker from Mumbai. 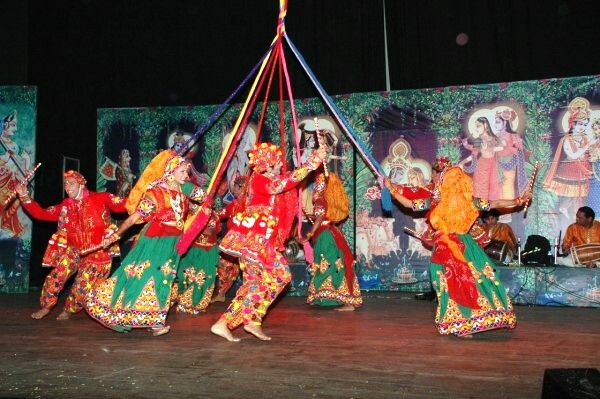 They entertained the assembly of over 1000 donors and well wishers by their popular play 'Shyam Saloni Radhe’. Several dignitaries like State Chief Information Officer, Police Chief, Fire Brigade Chief and CEO of Manipal Foundation graced the occasion. The play was a mythological on Sri Krishna Leela and Radhe. The auditorium was full house and everyone admired the programme. A visit to the Ekal Schools arranged for our distinguished Guest Sri Balachandran Warrier, Chief Executive Officer, Manipal Foundation, Bangalore on 10th August, 2010. Sri Warrier alongwith Sri K.K. Mallya, Secretary, FTS Bangalore undertook the journey to Elandur in Chamaraj Nagar Distt. of Karnataka. At Elandur, Sri Warrier met Samiti President Sri Gopal Krishna. At his residence a monthly review meet (Varg) of the Upsanch, Sanch and Sankul Full Time workers was in progress. He accompanied us from morning till we departed in the evening. Manipal Foundation has adopted 10 schools in Elandur Cluster, of which we visited 2 schools, one in the village Amble and other at Kunagalli. School at Amble: The class teacher received all of us by Arathi. The class had over 25 children, majority of them is girl child. Sri Warrier and the Children sang together a devotional song. Children displayed their skill in dance and singing. A few of them exhibit their skill in maths. Totally it was a satisfying experience for all of us. From the Gundlupet Anchal Smt. Sakamma, Sri Vrushabendra, Rachappa and Nandish and from Banglore FTS Sri Sudhir Kr. Shetty were present on the occasion. School at Kunagalli: This school is about 40 K.M. away from Amble. It was around 6 pm we reached that school. On reaching the school we were received by the Teacher as per local tradition of Arathi and applying tilak on forehead. The school has over 30 children, again majority of whom are girl child. 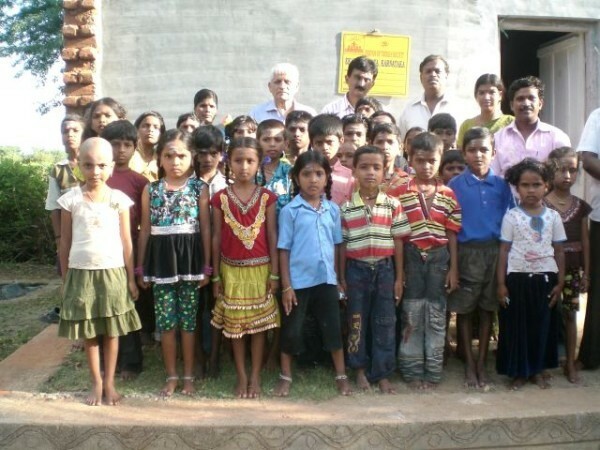 The village Kunagalli has a Government School and the children of Ekal School go to the same. But in the evening everyday they attend the Class in Ekal School. Ekal Schools teaches them Indian culture/traditions, yoga etc. apart from formal education. 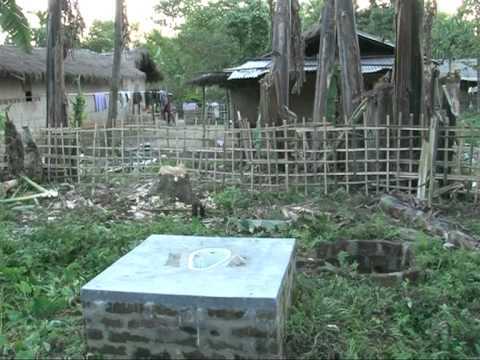 Villagers’ faith and conviction are embodied in the success of Ekal School. The teacher a graduate in Arts appears to be performing well. The trip to the above schools and our meeting with Full Time volunteers and the Samiti members at Elandur was totally satisfying and memorable. The FTS team at Elandur deserve all praise for running the schools successfully. It is a Vanayatra and it is a pilgrimage.